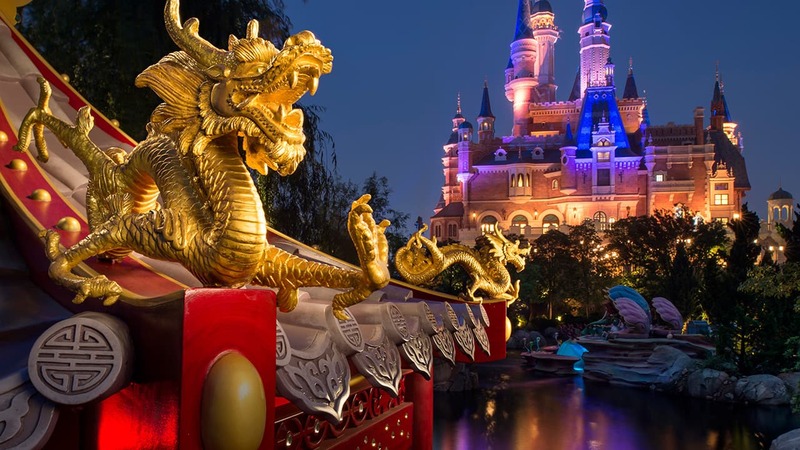 The classic Disneyland park attraction “it’s a small world” features many cultures and destinations, and a few months ago we started a trip around the “Happiest Cruise That Ever Sailed” to give you a closer look at its varied destinations. Our previous travels have taken you to Latin America, Europe, the Pacific Islands, Africa and Asia. Now it’s time for our final stop – North America. We begin our tour of North America in the snow-filled northern regions. Glittering icicles and snow blanket the Land of the Midnight Sun. 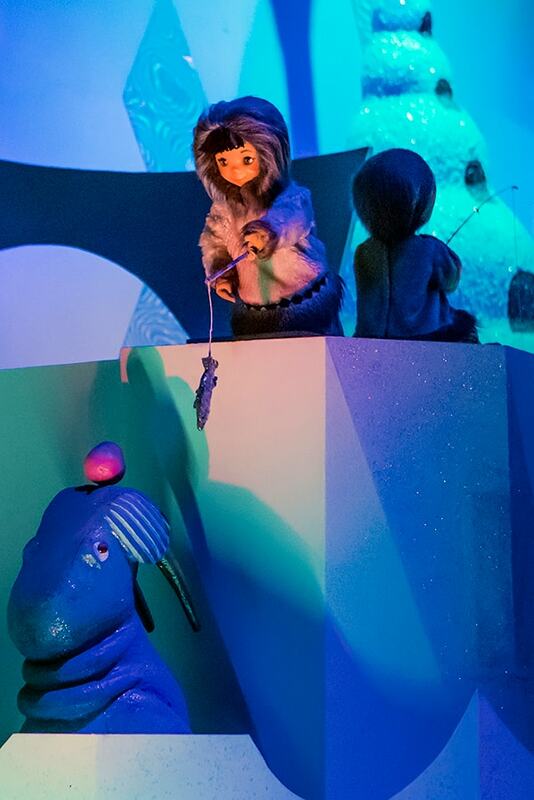 Here Eskimos bundled in warm fur parkas welcome us as two of them ice fish near their igloo. Next, we move on to the iconic American West. A cowboy practices his lassoing skills as red rock formations tower behind him. 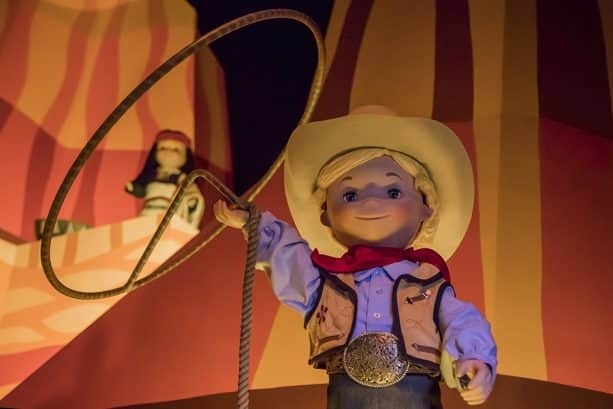 Thanks for joining us on a tour of the classic Disneyland attraction, “it’s a small world.” Be sure to check out Kevin’s recent post to learn about improvements now underway at the attraction’s entrance. Thanks Erin! This is my little daughter’s favorite ride at DL! 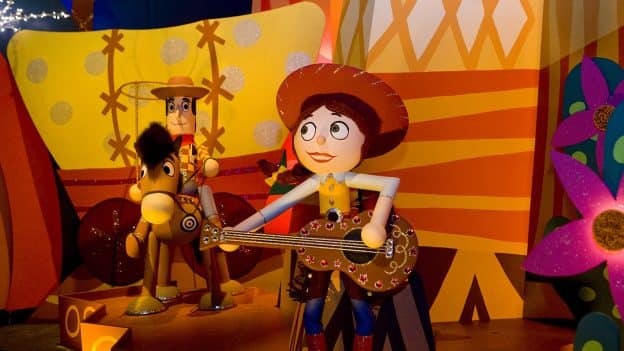 Will the Disney and Pixar characters ever be removed from “it’s a small world”? 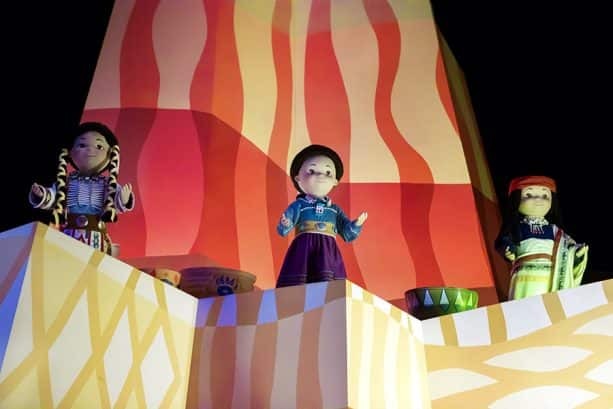 Nothing beats a cruise through “It’s a Small World” on a hot day at Disneyland!